“Telegraph Road” is a song by British rock band Dire Straits, written by Mark Knopfler. It appeared on the band’s 1982 album “Love over Gold”. The song was first played live at the opening concert of the band’s “Making Movies” Australian tour (Perth Entertainment Centre, 22 March 1981) as the final encore. Soon the song became a staple of Dire Straits and Mark Knopfler concerts. The Telegraph Road is a major north-south 70 mile thoroughfare in Michigan in the United States. 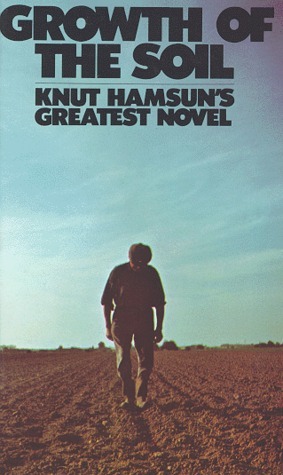 Mark Knopfler was inspired by a bus ride along Telegraph Road and by the book “Growth of the Soil” by Norwegian author Knut Hamsun when he wrote this song. Growth of the Soil is regarded as a historical classic. It has been acclaimed by many and won the Nobel Prize for Literature in 1920. First published in 1917, the book has since been translated from Norwegian into languages such as English. The novel was written in the style of Norwegian new realism, a movement dominating the early 20th century. The novel exemplified Hamsun’s aversion to modernity and inclination towards simplicity. In this book, Hamsun brought out relationship between his characters and the nature. Growth of the Soil is a life story of a man in the wilds and the genesis and gradual development of a homestead that leads finally into sadness and conflicts. Modern man faces nature only by proxy, or as proxy, through others or for others, and the intimacy is lost in the so called economic development. In the wilds, the contact with nature is direct and immediate and the touch of the soil often gives the strength. The book emphasizes importance of patience, the spiritual contentment with life and a loving alliance that is needed between Man and the Nature. As Worster says “The story is epic in its magnitude, it is calm and steady in an unhurrying rhythm while addressing the vast and intimate humanity. The author looks upon his characters with a great, all-tolerant sympathy, aloof yet kindly, like a God”. After reading the Growth of the Soil and while travelling on the Telegraph road, Mark Knopfler began to think and wondered how that road must have been when it started. He wrote lyrics to narrate a tale of changing land development over a span of many decades around the Telegraph Road. Before the song’s main theme starts, a quiet crescendo is rolled out in G minor that lasts almost two minutes. After the first verse, the main theme plays again, followed by the second verse. After a guitar solo, that is a short bridge, the song slows down to a quiet keyboard portion similar to the intro, followed by a slow guitar solo. Next, the final two verses are played with the main theme in between. The main theme is played one more time, followed by a slightly faster and amazing guitar solo lasting about five minutes and eventually fading out. The song thus starts slow, works up, and then goes like a train, fast and faster. This transformation is so addictive and wonderful to listen! Telegraph Road is perhaps the best rock song ever made and probably one the best songs in the history of humanity. There is so much tempo, so much intensity, so much virtuosity, so much art and beauty in this song. Building up of a town, its subsequent flourishing and then facing the economic downturn with no jobs etc. seems a familiar cycle of our modern life. We observe this pattern over the past 50 years in many parts of world! Today we are all in a cycle of decay (biophysical and moral) and I’m afraid that we cannot return to where we began. We tried in the 80’s and especially in the 90’s; yet failed – despite efforts and now we are on the path of unsustainable development. Indeed, we have set up collectively the Sustainable Development Goals but honestly, we can’t even think for ourselves – so forget the rest of the world! Telegraph Road tells a story that speaks to my heart. I love the dark, gloomy feel at the end as it sends chills over my spine. Listening to Telegraph Road, you feel that Mark saw the future! And think about it, Mark was a young man at the time – so what would he know? But he probably knew and importantly understood how to say the tragedy of greedy economic development through his music. Who else could write a song about a road and make it so relevant to everything in our history and current existence? The song resonates well with Hamsun’s book – Growth of the Soil. You may know that Knopfler is part of the kings of the best guitar players of the world like Jimmy Hendrix, Jimmy Page, Eric Clapton, Santana, BB. King, Keith Richards, – all legends of guitar sounds! In Telegraph Road, Knopfler gets emotions out of one guitar note than most can get out of entire solo. This live version of 1983 (see below) puts to shame every song in the last 30 years whether in Studio or Live for that matter. But you would notice that this man is not just great guitar player, but much more as he understands music better than just rock & roll. His arrangements are brilliant, and lyrics are amazing. Telegraph Road is a song that is one of the highest expression of the rock music. You get everything there …the guitars, bass, piano, drums with a lot of creativity. There is not a single weak point in this song. Its great to see how all his team members are generous with playing their parts for the good performance. Each individual performance however shines. His team members Terry Williams, Alan Clark, Hal Lindes, John Ilsley, Tommy Mandle have made history through Telegraph Road. I love the powerful drumming by Terry Williams on this tune. Ilisley, the dancing base guitar player, was later inducted into the Rock and Roll Hall of Fame in 2018 as a member of Dire Straits. Alan Clark received piano lessons at his young age and at the age of 13, he began to play Hammond organ in working men’s clubs. Its Alan who plays those charming slow notes in the beginning and that wild piano piece at the end of the song. See below the video clip of Mark in 2005 focusing only on the last 5 minutes of his amazing guitar work. Indeed, he looks aged, standing in a reclining and a rather composed posture, but his fingers still race on the strings as before and with so much with ease and grace. Kudos to him. But in both these video clips, you will not see Alan Clarks wild piece of piano at the end of high tempo. Dire Straits split in 1995. Sustainability can be best understood when we live with nature. Its hard to imagine how could we “feel” sustainability while living in the cities of concrete jungle, spending time in ventilated conference rooms, being in traffic and queuing at the airports. We can only “talk” about sustainability. Have you taken a walk recently in a forest with your loved one and with no one around? Listening to the birds perched on trees, and watching a squirrel that stops on the road to take a good look at you – the stranger – may simply enthrall you. Sustainability is often unspoken and it is to be experienced and not argued upon. You don’t have to get convinced then that this road through the forest should ever become another Telegraph Road. Sure, Mark Knopfler and his band will bless you! Touching blog..thanks for putting it together. Came to know about the song and the book.